A sovereign wealth fund is being created to provide up to 100 million people with an experimental World Basic Income. 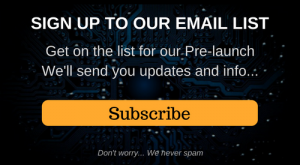 The World Basic Income Program is planned to be launched in 2020 to end global poverty.Modeled after the Norwegian Sovereign Wealth Fund which successfully generated $131 billion to give it its citizens in 2017, the Earth Dollar is establishing the LiveHOPE Fund, which is a Sovereign Wealth Super Fund created with a basket of allied cryptocurrencies with the goal of Ending Global Poverty. What better way to celebrate SDG 1 No Poverty and SDG 2 Zero Hunger then by fulfilling it and removing it from the checklist of Enhanced Sustainable Development Goals? The World Basic Income Program is expected to be launched in 2020 at the LiveHOPE Music Festival to End Global Poverty with the LiveHOPE Fund and other organizations. The World Basic Income is expected to be Airdropped to 100 million people (5% of 2 billion viewers watching on television and on mobile devices) via the LiveHOPE/Earth Dollar Community App. 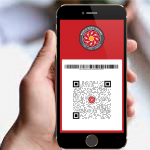 The LiveHOPE/Earth Dollar Community App is a communications app like WeChat but will also contain a Universal Wallet for holding, spending and exchanging cryptocurrencies. Poverty is created by man. In 2019 we shall uncreate poverty with the start of the World Basic Income Program. What is World Basic Income? 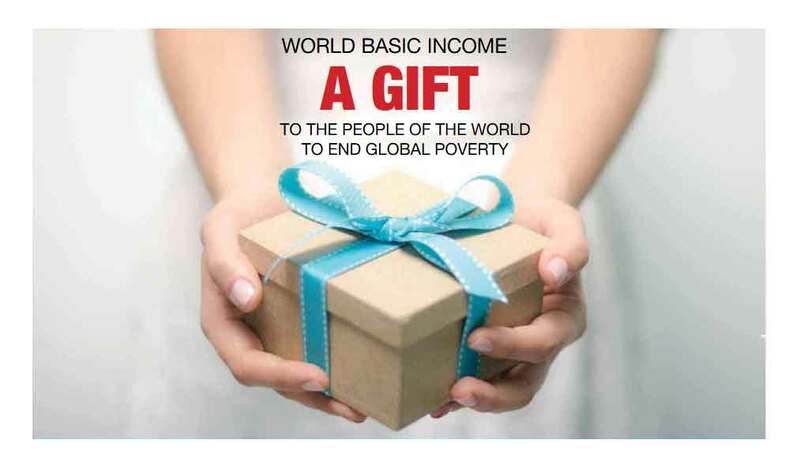 World Basic Income (WBI) is a very simple solution to create prosperity and increase the quality of life by giving people money in the form of Earth Dollar and other cryptocurrencies which we call World Basic Income and sometimes called Basic Income or Citizen’s Income, which have agreed to live a sustainable lifestyle. World Basic Income Program benefits both people and businesses. A World Basic Income grows and stimulates the economy because people can acquire good food and services out of reach of their current budget. Jobs are created because businesses have more income. If not enough money is circulating, nothing moves off the shelf! The idea is supported by many people from countries such as Finland, Switzerland, Namibia, and Alaska. For example, 46% of Canadians according to one poll and has a wide political spectrum of support because of it not only helps people, it can also save money by reducing bureaucracy and poverty-related health care and criminal justice expenses. More than that, it gives every child a chance to succeed in life. My eldest brother died from starvation in China after WWII and our family was deeply affected by poverty. I feel it’s my moral duty to End Global Poverty in my lifetime. – David Kam, Founder of World Basic Income and the Earth Dollar -. For our pilot project, approximately 100 million people is expected to be paid a World Basic Income in cash (a basket of allied cryptocurrencies including Earth Dollar), and initially one-time. Selected allied Indigenous Nations who have pledged assets to back the Earth Dollar will be the first to receive immediately an experimental monthly World Basic Income. As the Earth Dollar, acquires more assets and the LiveHOPE Fund becomes wealthier, we plan to roll out the World Basic Income on a monthly basis to more areas around the world. It will really depend on how much support we receive. As automation sweeps the world, and widespread 3-D printing becomes a reality there will be fewer jobs available, so the World Basic Income program makes more sense. You can enjoy the financial freedom of spending more time with friends and family. Income security is recognized in the United Nations Universal Declaration of Human Rights (Article 22: Everyone, as a member of society, has the right to social security and… realization… of the economic, social and cultural rights indispensable for his dignity and the free development of his personality). The dignity of the individual must include the opportunity to live freely and responsibly within society. Austerity measures in the last decade have hurt individuals, families and future generations. The World Basic Income provided by this program grants a measure of freedom to everyone and is designed to end austerity measures. Being poor is not only hard, but it is also humiliating. By giving benefits to all the people who are registered citizens, humiliation is removed. The 1948 Universal Declaration of Human Rights enshrined this principle in its preamble: ‘recognition of the inherent dignity and of the equal and inalienable rights of all members of the human family is the foundation of freedom, justice, and peace in the world’. Within our present economic system, life depends on obtaining food, clothing, and shelter through money. One can also pay by way of vouchers, for which you have to go to an office and line up to apply. Users of such vouchers are able to purchase only what is designated while individuals with money are able to decide how to use their finances freely. These are both forms of discrimination and cause for humiliation. The legal right to a World Basic Income transfer payment enables a dignified life with the opportunity to participate in society. It also fulfills the right to a life free from discrimination on the basis of poverty. Our judgments of the poor hurt a lot of good people.. World Basic Income program is open to everyone without any judgment. It provides the means for dignity and respect to all our relations in the human family.